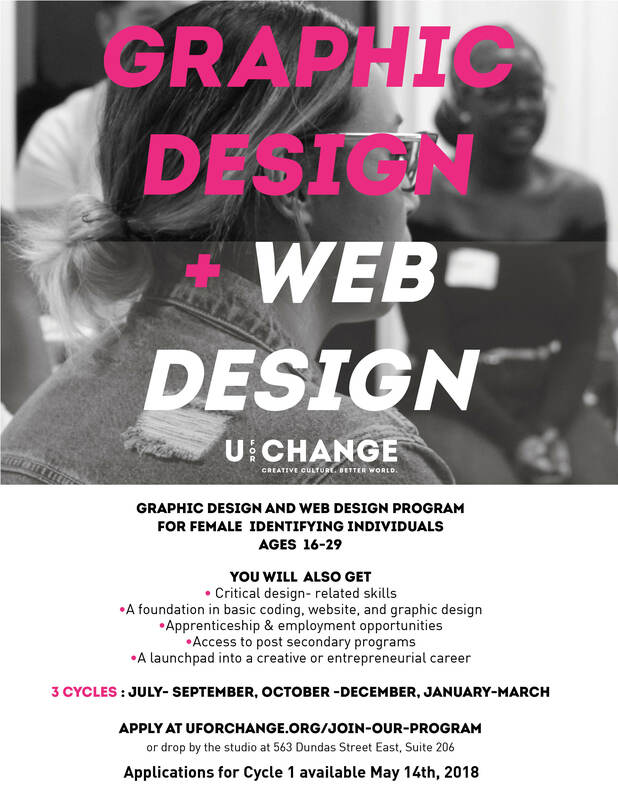 UforChange is currently accepting applications for our Graphic Design and Web Design course! This program is offered to female identifying individuals who fall between the ages of 16-29! This program has 3 cycles: July- September, October -December, January- March. If you are interested, you can apply here! Join us in becoming the next generation of creative change makers!